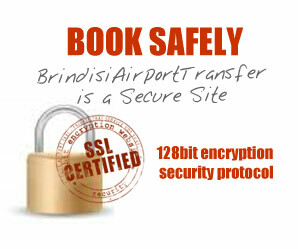 How can I book my Brindisi transfer? 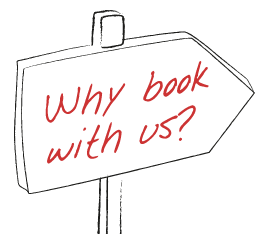 You can book our service by using the form on our homepage. Is it possible to add, delete or modify my reservation (time, passengers, luggage)? In order to guarantee the best service, please contact us for any change to your reservation time, number of passengers or luggage, since we could provide you with a different vehicle. For more information about how to modify your reservation, please refer to the next FAQs section. Can I delete or change my reservation? You can modify or cancel your reservation whenever you want, but anytime before the driver leaves to meet you at the agreed meeting point. If you want to change or to delete your reservation 48 hours before your arrival, send an email or call us and we will be glad to help you. In case of requests less than 48 hours before your arrival, please contact us by phone at the number provided in the confirmation email that you will receive some days before the transfer. Are your fares per person or per vehicle? Our prices are always per vehicle and not per person. Are your prices fixed and all-inclusive or should I pay for additional charges? Our prices are fixed and all-inclusive, no extra fee will be charged to you (for example in case of diversions or traffic jams). Prices are all inclusive, so you are not requested to pay any tips to our drivers, but if you are satisfied with the service and you want to tip the driver, you can do it. Why should I have to pay after the transfer, if I have already provided you with my credit card details during the booking procedure? If you choose the “payment to the driver” option, the credit card details provided during the reservation procedure will be only used to guarantee and to confirm your reservation, but they will not be used to pay for the service; for this reason the driver asked you to pay just after the transfer. But you can also pay in advance by PayPal or Credit Card, Visa and Mastercard. How and when should I pay for the transfer? You can pay as you want: directly to the driver soon after the transfer or in advance by PayPal or Credit Card. If you choose the first option, the credit card details provided during the procedure will be only used as guarantee for your reservation. Yes, if you prefer to pay in advance, select the option: "Pay by credit card" in the booking form or “Pay now by PayPal"
What if I have additional luggage which I have not mentioned in my the reservation? Please inform us about any changes in the number of pieces of luggage, because they will influence the type of vehicle we can use for our service, since you could need a larger/smaller car and also the price may change accordingly. Can I carry large items such as wheelchairs, bikes or scuba dive equipment? Please mention this information on the reservation form since you may need a larger vehicle to carry these items. Our driver will be waiting for you for you at the airport arrival lounge, in front of the exit doors; he will hold a sign with your name so to be easily recognizable. Some days before your transfer service you will get an email containing all information about the meeting point. What happens if my flight is in delay or cancelled? Our local manager usually checks all flights schedules so that, in case of any delay or cancellation, he will reschedule your reservation and one of our drivers can be there at your arrival. You can call the phone number reported on the confirmation email we will send some days before your transfer. Our customer support service is available 24/7, and we will be glad to assist you. How long will the driver wait for me, while I pass the immigration and custom gates? The driver will remain there for a maximum of one hour after the flight actual landing time. He will call you on the mobile phone number mentioned on the booking form. If he cannot reach you by phone, he will leave the agreed meeting point. In case of problems with the customs and immigration procedures, or for collecting luggage or lost luggage, please contact our emergency phone number. Do I have to share the car with other passengers? No, our transfer is a private service, therefore you will not have to share your transfer with any person not mentioned on your reservation form. Child seats are available for free upon your request to most destinations. Please mention the child's age in the booking form so that we can provide you with the right seat.